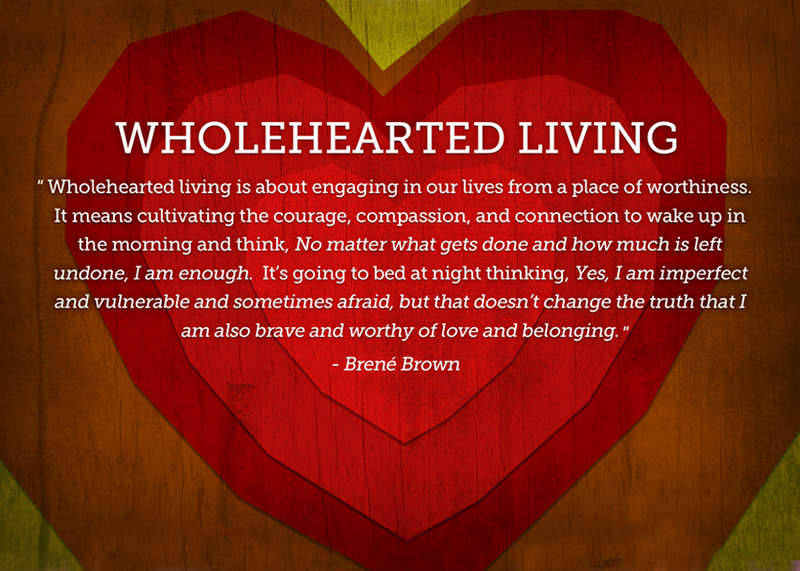 Brene’ Brown is one of my favorite social workers. I come back to her work from time to time to study professionally and personally. Recently a friend sent me a link to her book The Gifts of Imperfection to download on Kindle. So glad she remembered me! I’m stuck on page 15 of my Kindle book. Compassion. We all grow up learning manners and the importance of being nice and kind. If you grew up in the church, you were taught to serve others with the love of Christ. One of my favorite examples of this kind of service is Mother Teresa of Calcutta. What happens, though, when you find yourself imperfect in compassion? Did you fail? Or, maybe, missed the lesson on how to persevere when you are depleted? I’ve personally struggled on this roller coaster ride of “got this!” and “don’t got this!” for years. What is the answer? Let’s take a closer look at the origin of the word compassion. In cultivating compassion we draw from the wholeness of our experience-our suffering, our empathy, as well as our cruelty and terror. It has to be this way. Compassion is not a relationship between the healer and the wounded. It’s a relationship between equals. Only when we know our own darkness well can we be present with the darkness of others. Compassion becomes real when we recognize our shared humanity. Compassion is not a call to perfection or putting yourself in the position of healer. That’s God’s job. He is perfect, and He is our healer. It’s what Christians call “the dark night of the soul”. Compassion is not possible in its purist form until we accept the darkness and realize that it’s part of our journey. In a profound and marvelous experience, the darkness draws us more to a Holy union with The Light–God himself. No greater love was shown than Jesus in His darkest moment–the cross; yet, it was in this darkness that the greatest miracle happened–His resurrection and our eternal hope. Previous She said, “Yes!” to THE dress!